After a fantastic day at Perth Upmarket last Sunday I have been left gobsmacked at the response not only on the day but also since continuing. Thanks to all those who came along and said hello. I was wonderful to meet some of my Blog and Facebook readers in person and I appreciate your support. This photo was taken with my I-phone. Hubby said I wasn't allowed to take my camera as I still don't have a bag for it yet - but with a new Epiphanie bag on its way to me for Mother's day soon I will be coming out everywhere with me. Can't wait to show you it when it arrives. 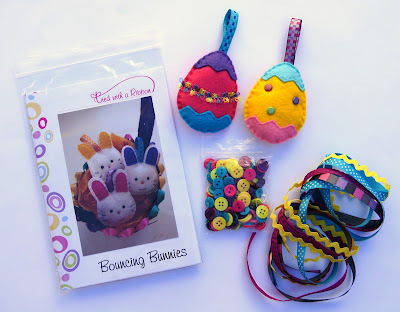 I have been sewing lots of Bunnies and Easter Eggs this week. And I have also been sewing lots of new Aprons with Mother's Day coming up. A few weeks ago now I won a Giveaway and won a great gift pack. I won a huge lot of embroidery threads and some mini hoop frames. The girls and I have been putting these goodies to great use. The girls used some Sublime Stitiching iron on transfers that I had and made these sweet little faces with all the supplies I won. This is my eight year old's stitching that she made along with some of our winnings. 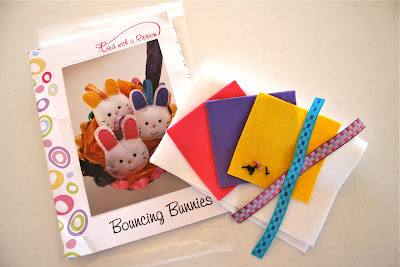 I love the bouncing bunnies - too, too cute - my girls would love making these in our craft room (if I only had time.... only time...). Happy Birthday! Congratulations Melissa - I will send you an email and get your prize off in the mail to you. This week I want to spend a bit of time revamping my Blog. I want to add some pages and other features so stay tuned and hopefully I won't need a Masters in Computers to work it all out!!! Well, it's here! My little, humble blog has turned one! I can not believe it has been a whole year since I started writing all about what I get up to in my sewing room. There have been lots of ups and downs with milestones and obstacles all to work my way through. I thought that the best way to celebrate would of course be with a GIVEAWAY. 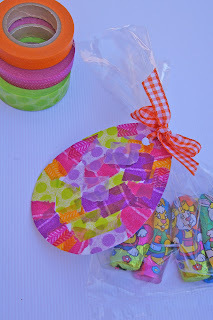 I have put together a little Easter inspired gift for one lucky winner. The winner will receive a Bouncing Bunnies Felt Kit, 2 felt Easter Eggs, a bag of buttons and some ribbon to match. This will get your Easter gift giving off to a great start. All you need to do is go over to my Face book page and check out the Photo Galleries. Tell me what is your favourite item and leave a comment on this blog. Entries will close on 24th March, 2011 at 7pm (WST). Make sure I can contact you through your comment and I am happy to post internationally. The winner will be chosen via random.org. 2. 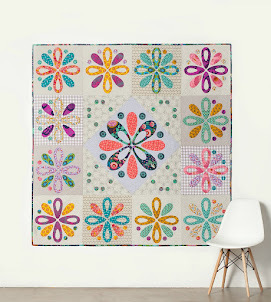 Next on my list are some new supplies from Sublime Stitching. I do have some of these transfers and would like to get some new ones. I think these would be great to do with my girls and just because I love sitting and stitching. They may help pass some time on an upcoming camping trip. I am especially after some transfer pens and paper. 3. I have had my eye on a few books recently. Those who know me well know how I don't normally ready anything longer than a Recipe (except for the Twilight series!). 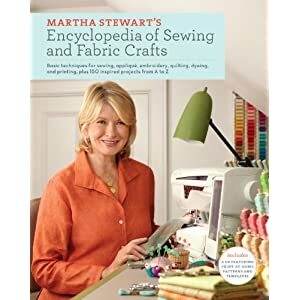 Craft books are one exception and I love borrowing books from the library and growing my own library of craft/sewing books. I love flicking through the beautiful pages and photos for inspiration. These titles are top of my list! Thanks for sticking by my for the past year to all my readers. It is humbling to think that others out there take the time to read my ramblings and see all I get up to.﻿ Here's to a wonderful year ahead! As it was a long weekend a few days ago here in Perth the girls and I had some extra time for some crafting. As you know my girls would rather stick, glue and paint and craft anytime over electronic pastimes. Which is great don't get me wrong but the constant trail of pom poms, pop sticks, cut up paper and glue everywhere sometimes drives me a little nuts! A little while ago I bought some beautiful Japanese Washi Tape from here. 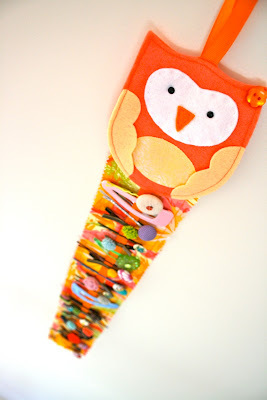 I fell in love with the range of colours and knew that the girls would love using this special tape. We made some gift tags first of all - using the egg template that you can find in my Easter Egg Felt Tutorial we cut out some white cardboard eggs and then the girls set about ripping the tape and sticking the pieces on in a bit of a collage fashion. The girls wrapped up some Easter chocolates and used the washi tape eggs as Gift Tags, adding some ribbon for some gifts to be given at Easter time﻿. 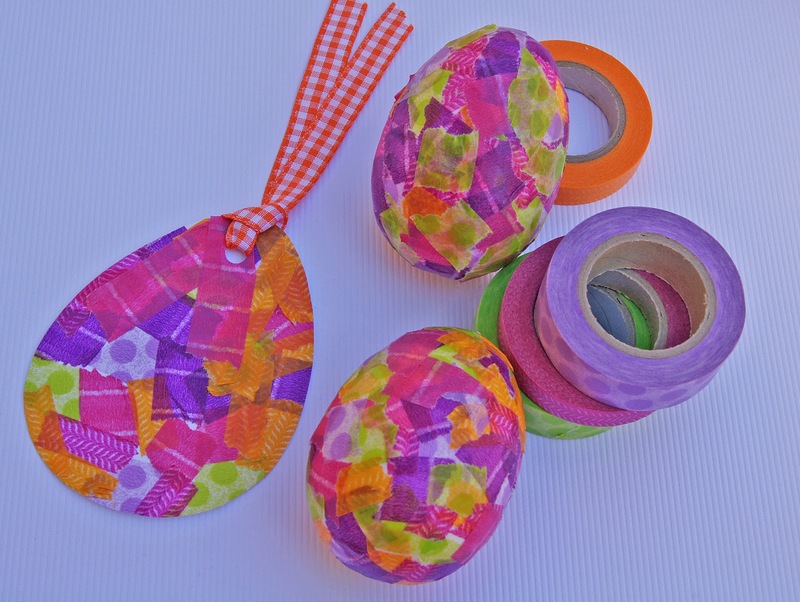 We also had some Styrofoam egg shapes which the girls then used to stick the washi tape to. Watch out for my next post - I am going to have a GIVEAWAY. It will be my Blogiverssary this weekend. Yes a whole year since I started my little blog. Stay tuned! 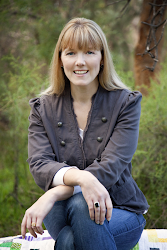 I was very lucky to have the wonderful Toni of Make it Perfect review Tied with a Ribbon as part of her Cool Shops. You can read the post here. 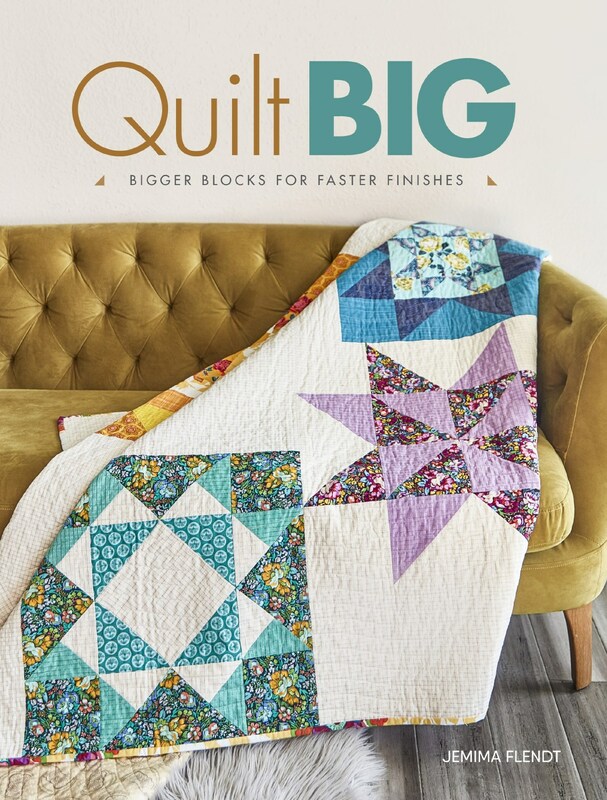 I was thrilled to be a part of Cool Shops and was blown away at the kind and warm words Toni had to say about my little part of the sewing world. Toni also reviewed my Bouncing Bunnies Felt Kit. Go over and read the review and there is a special offer for a 15% discount on my Etsy store till the 1st of April. All you need is the code found at the end of the review. 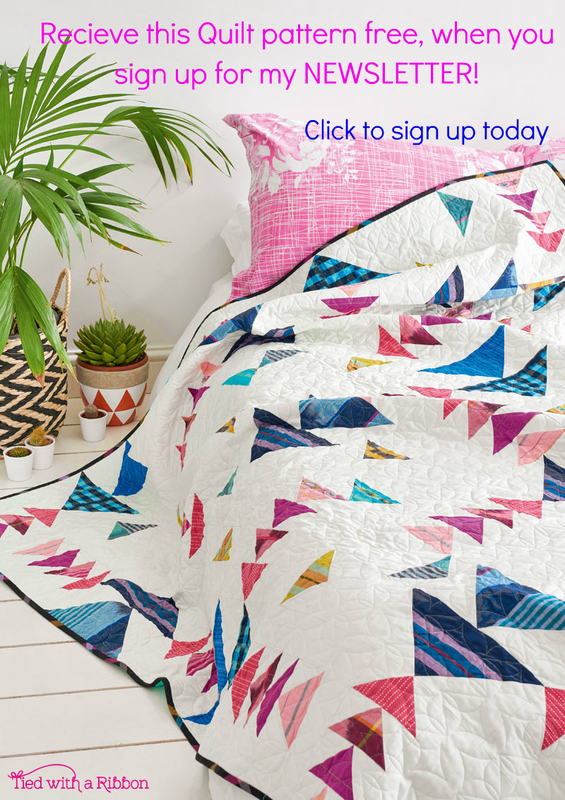 Go over and check it out, Toni's blog is full of inspiration. I love my new Camera! All the Easter Eggs I started a few weeks ago are now finished and so to are some bunnies that I started. With my next Perth Upmarket only a few weeks away I have been stocking up on these. I hope you have enjoyed making the ones in my Tutorial in the last post. If you have made some I would love to see some pictures. If you would like some ready made or a kit to make your own there are some in my Etsy shop. I have been sewing lots of Aprons lately. This sweet cupcake Apron has been sent of to its new owner and I love my new Mannequin to help as a prop for my photos. I came across her in a Secondhand store a few weeks ago while on the hunt for a mannequin and she was just perfect. I also roped in one of my closest friends to model some of my Aprons for a Mother's Day Flyer which I will show you next post. You can see lots of my Aprons on my Facebook page in the Apron Album. We have been celebrating lots of birthdays recently and this year I thought I would go with a PJ theme. They make a great present and I love choosing fabric that I will think will go with each kids personality. A special thanks to those who have left comments on my last few posts. 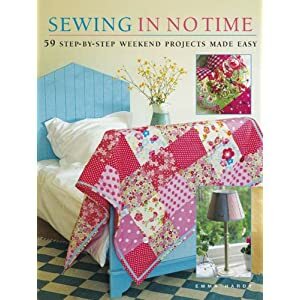 It has been great to read your thoughts on all the things I get up to in my sewing room and know that someone else is interested. 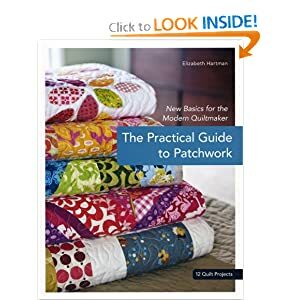 I think I do tend to bore my family with all my talk about fabric, patterns, craft and all things sewing!